Use this resource to establish or update collaboration and planning techniques and explore the key elements in collaborations between general educators and special educators. Looking for more inclusive classroom and special needs resources? You can find them in our special needs center. Historically, teachers have worked in isolation--one teacher to a classroom. As children with disabilities entered the public schools in the 1970s, they were taught in separate classrooms with their own teachers. Over the past 25 years, these students have slowly moved into the flow of the regular classroom, thus the use of the term "mainstreaming." However, students were mainstreamed for selected subjects or parts of the day; they were not considered part of the typical class. Now the philosophy is to include all students in the same class, which has brought about teams of general education and special education teachers working collaboratively or cooperatively to combine their professional knowledge, perspectives, and skills. The biggest change for educators is in deciding to share the role that has traditionally been individual: to share the goals, decisions, classroom instruction, responsibility for students, assessment of student learning, problem solving, and classroom management. The teachers must begin to think of it as "our" class. This Digest explores the facets of this new collaboration between general and special education teachers. Cooperative teaching was described in the late 1980s as "an educational approach in which general and special educators work in co-active and coordinated fashion to jointly teach heterogeneous groups of students in educationally integrated settings....In cooperative teaching both general and special educators are simultaneously present in the general classroom, maintaining joint responsibilities for specified education instruction that is to occur within that setting" (Bauwens, Hourcade, & Friend, 1989, p. 36). The distinctive feature of cooperative teaching, which differs from earlier approaches, is that it is direct collaboration with the general education and special education teachers working together in the same classroom most of the day. An effective team of teachers will work together as equal partners in interactive relationships, with both involved in all aspects of planning, teaching, and assessment. Areas for this collaboration will include curricula and instruction, assessment and evaluation, and classroom management and behavior. As one team teacher says, "the key to making co- teaching work is joint planning. You must both know all the curriculum so that you can switch back and forth and support each others efforts. If you don't know the curriculum you are not a co-teacher, you are just an assistant" (Crutchfield, M. in press). "In developing and implementing cooperative teaching, school professionals experience great changes in the way they go about their daily work. To overcome the inevitable fears and stresses associated with change, the educators involved must feel that they are responsible for the change and that its success or failure lies directly with them" (Bauwens & Hourcade, 1995, p. 189). WHAT ROLE DOES EACH TEACHER PLAY? In a collaborative model the general education and special education teachers each bring their skills, training, and perspectives to the team. Resources are combined to strengthen teaching and learning opportunities, methods, and effectiveness. "The one point that clearly developed from this relationship was that both of us had expertise in many areas, and combining these skills made both teachers more effective in meeting the needs of all students" (Dieker & Barnett, 1996, p. 7). Typically the primary responsibility of general education teachers is to use their skills to instruct students in curricula dictated by the school system. Typically the primary responsibility of special education teachers is to provide instruction by adapting and developing materials to match the learning styles, strengths, and special needs of each of their students. In special education situations, individual learners' needs often dictate the curricula. General educators bring content specialization, special education teachers bring assessment and adaptation specializations. Both bring training and experience in teaching techniques and learning processes. Their collaborative goal is that all students in their class are provided with appropriate classroom and homework assignments so that each is learning, is challenged, and is participating in the classroom process. Collaboration involves commitment by the teachers who will be working together, by their school administrators, by the school system, and by the community. It involves time, support, resources, monitoring, and, above all, persistence. However, the biggest issue is time--time for planning, time for development, and time for evaluating. Planning should take place at the district and the building levels, as well as at the classroom level. District planning helps ensure that all resources will be available, including time, money, and professional assistance. District-level planning will take into consideration the effect change in one place will have on other settings. Building-level planning will assist the teams in being sure adequate support is in place to sustain new initiatives. Principals play an extremely important leadership role in facilitating collaborative efforts by instructional personnel. Both district- and building-level planning should provide staff development opportunities to encourage teachers and administrators to participate in classes, workshops, seminars, and/or professional conferences on cooperative teaching. Motivation is an important ingredient for success, but additional skills will be needed to realize the goals teachers set for themselves and their classes. Planning also is a factor in selecting the students who will be part of the collaborative process. It is important to keep natural proportions of typical students, students identified as being at risk, and students who have been found to have disabilities. 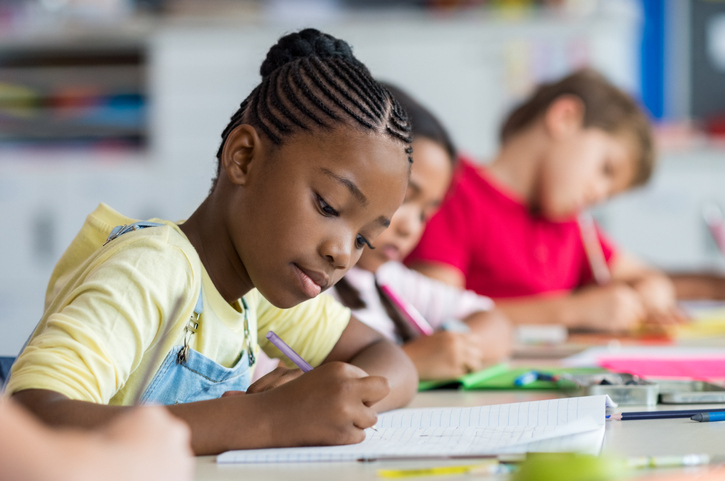 Achieving a balanced classroom is easier at the elementary and middle school levels than at the secondary level, where a certain amount of grouping takes place with course selection. A major consideration is in arranging planning times for co-teachers. Co- planning must take place at least once a week, according to studies. "Planning sessions were viewed as priorities by both teachers; they refused to let other competing responsibilities interfere with their planning sessions" (Walther-Thomas, Bryant, & Land, 1996, p. 260). The planning must be ongoing to allow teachers to review progress on a regular basis, make adjustments, evaluate students, and develop strategies to address problems either in discipline or learning. *increased productivity, creativity, and collaboration over time. Participants in collaborative programs agreed that the time required for planning does not decrease during the year, but the quality of instruction continues to improve. Collaboration should also be part of teacher preparation programs. This begins with the understanding that all teachers will be working with both typical and special needs students. Every teacher needs to study teaching techniques, subject area(s), disability, individualization, accommodation, and skills for collaboration in the classroom. Time away from the classroom for consultation, professional conferences, and additional training is vital to the success of any program. 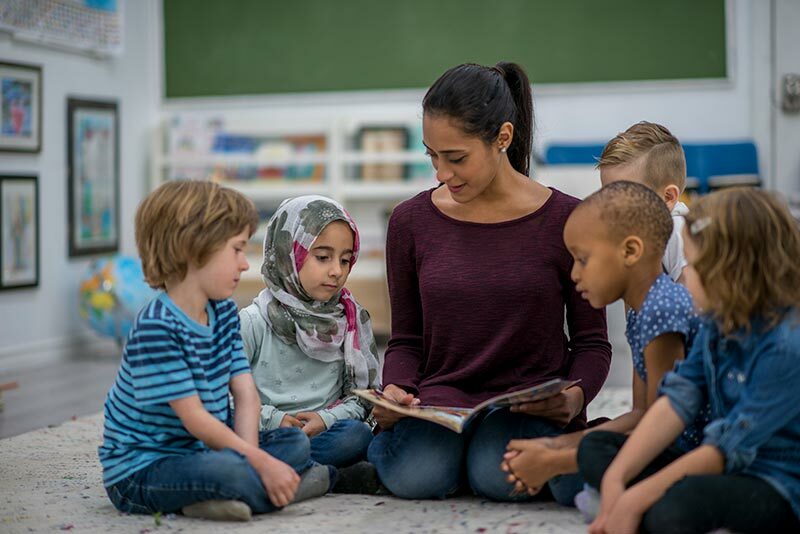 Teachers, related service providers, and administrators will benefit from research findings on collaborative teaching, inclusion, and related subjects. Research findings on schools where collaborative teaching has been practiced indicate student benefits for both special education students and their typical peers. Walther-Thomas and others conducted a study of inclusion and teaming in 1996 to assess collaboration between general education and special education staff. Improvements were attributed to more teacher time and attention, reduced pupil-teacher ratios generally, and more opportunities for individual assistance. Students with disabilities developed better self images, became less critical and more motivated, and recognized their own academic and social strengths. Their social skills improved and positive peer relationships developed. Low-achieving students showed academic and social skills improvements. All students gained a greater understanding of differences and acceptance of others. All developed a stronger sense of self, a new appreciation of their own skills and accomplishments, and all learned to value themselves and others as unique individuals. Staff reported professional growth, personal support, and enhanced teaching motivation. Collaboration brought complementary professional skills to planning, preparation, and delivery of classroom instruction. The concepts of individualized instruction, multiple learning styles, team teaching, weekly evaluation, and detailed planning are all of direct benefit to students. The purpose of the collaboration is to combine expertise and meet the needs of all learners. It is important that teachers receive preparation and classroom support. It is also important that planning time continues to be available throughout the school year. "Most important, all students win by being challenged by collaborating teachers who believe that they are responsible for all children in the classroom" (Angle, 1996, p.10). Crutchfield, M. (in press). Who's teaching our children? NICHCY News Digest. Dieker, L. A., & Barnett, C. A. (1996). Effective co-teaching. TEACHING Exceptional Children, 29(1), 5-7. EJ 529 433 Friend, M. & Cook, L. (1996). Interactions. White Plains, NY: Longman.